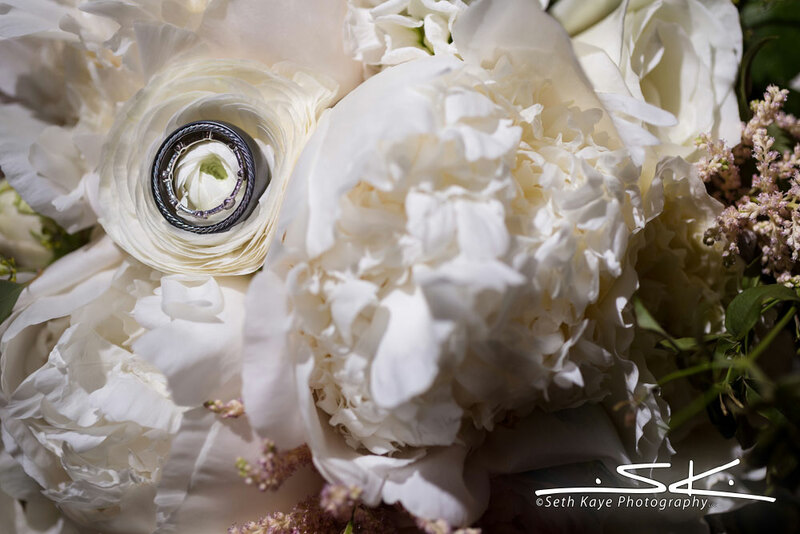 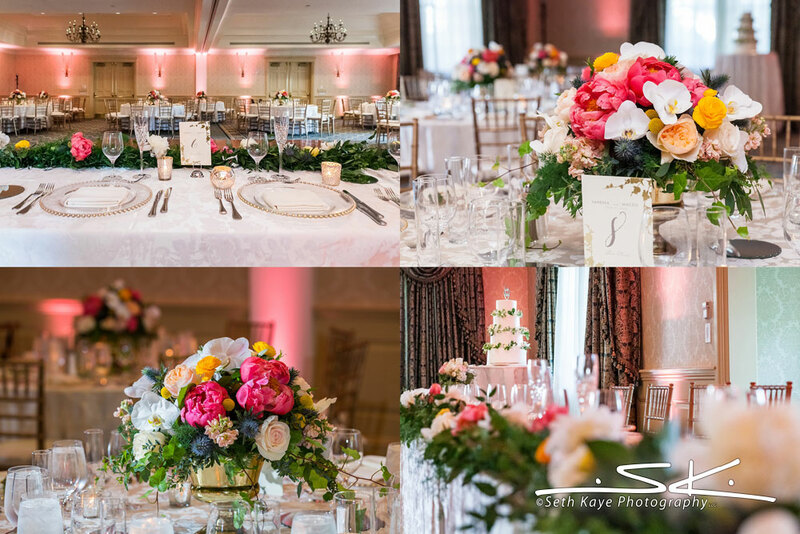 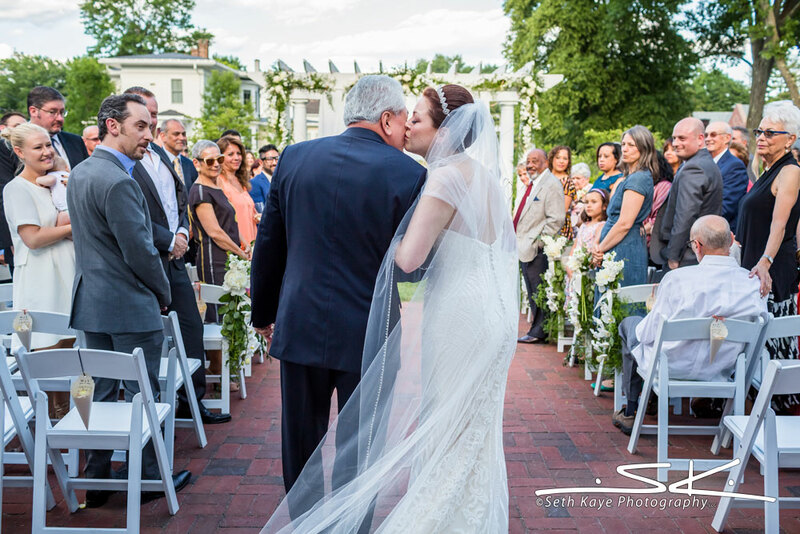 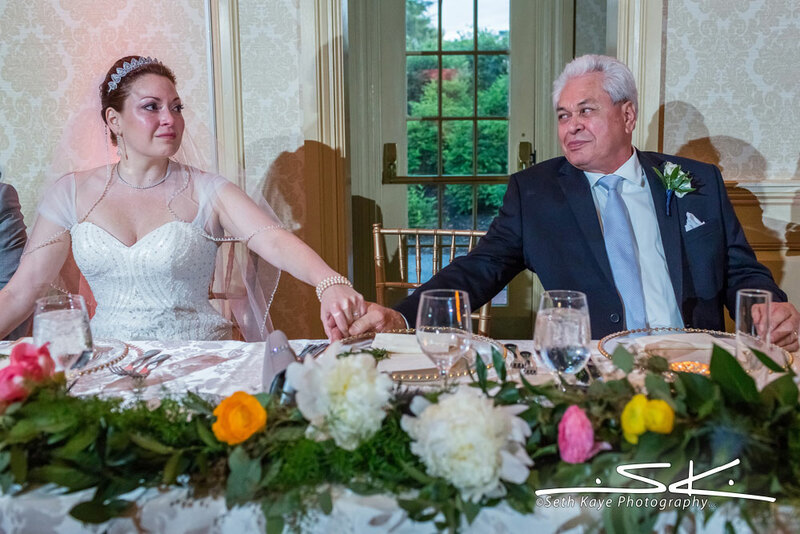 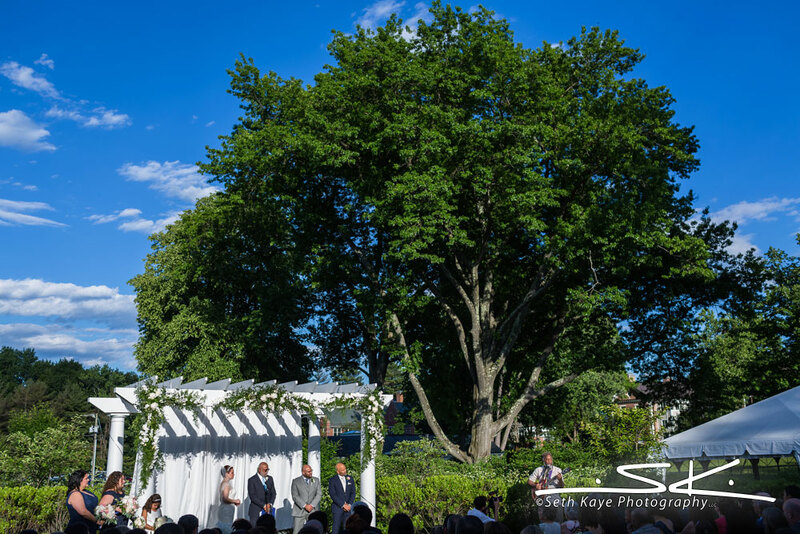 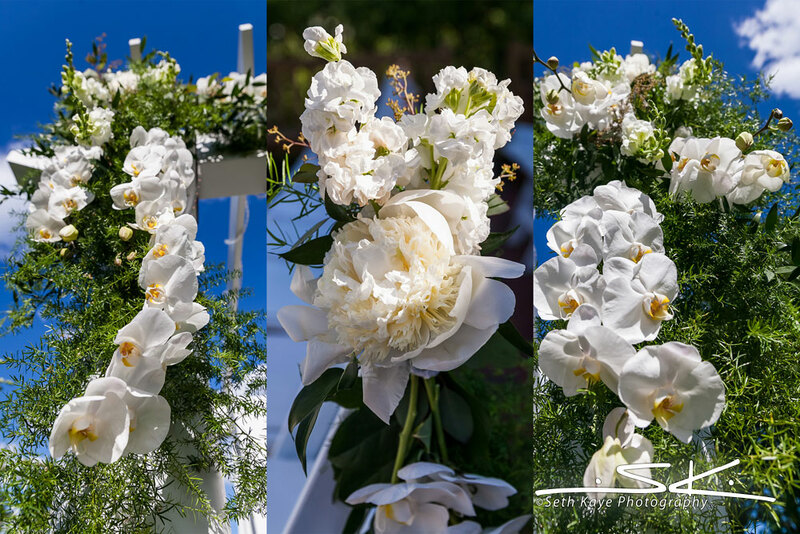 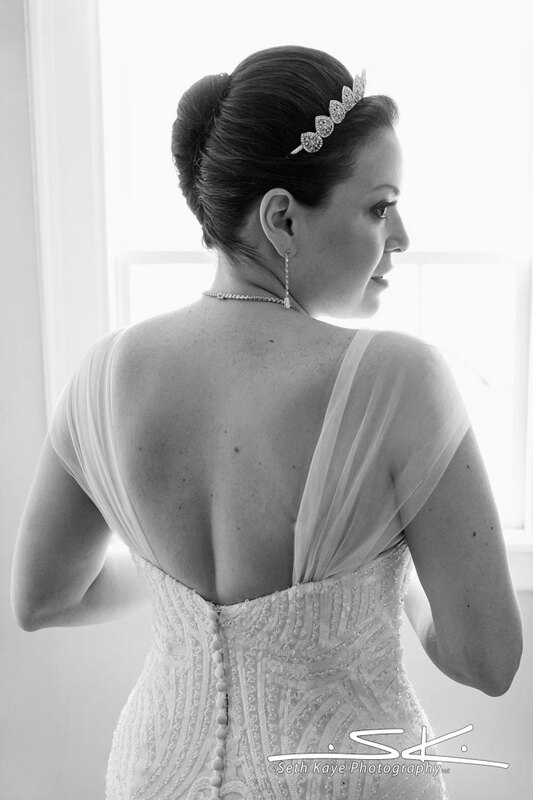 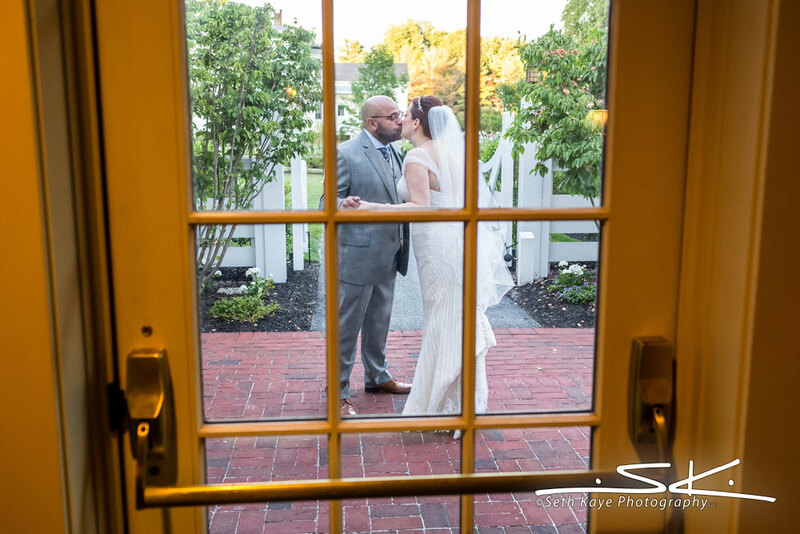 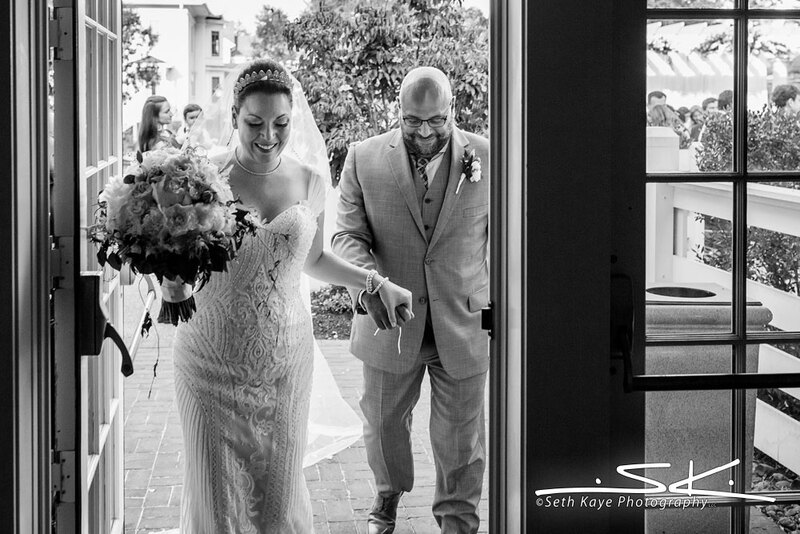 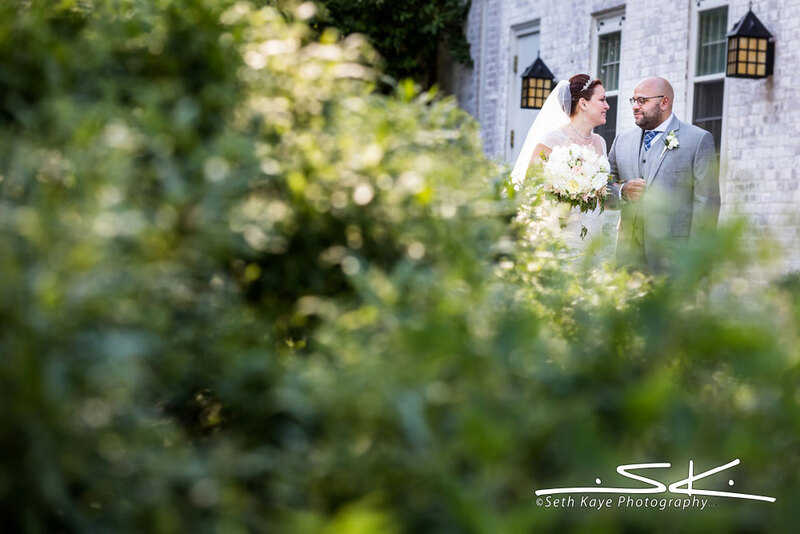 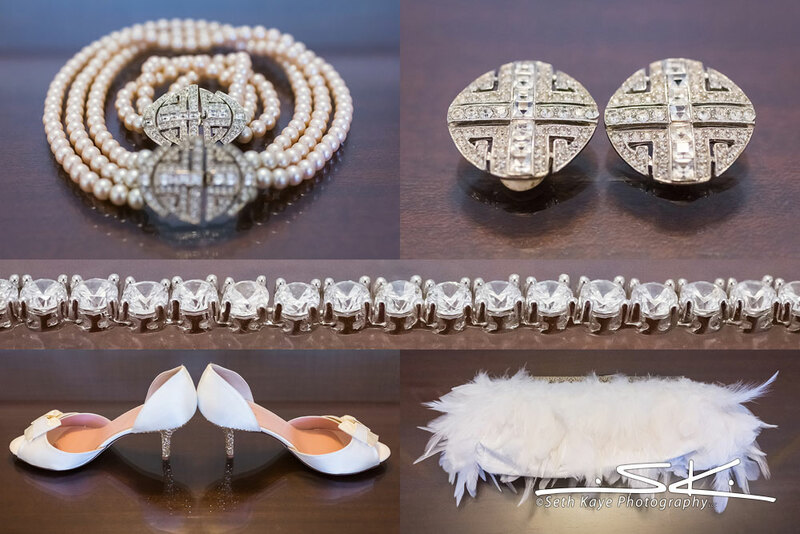 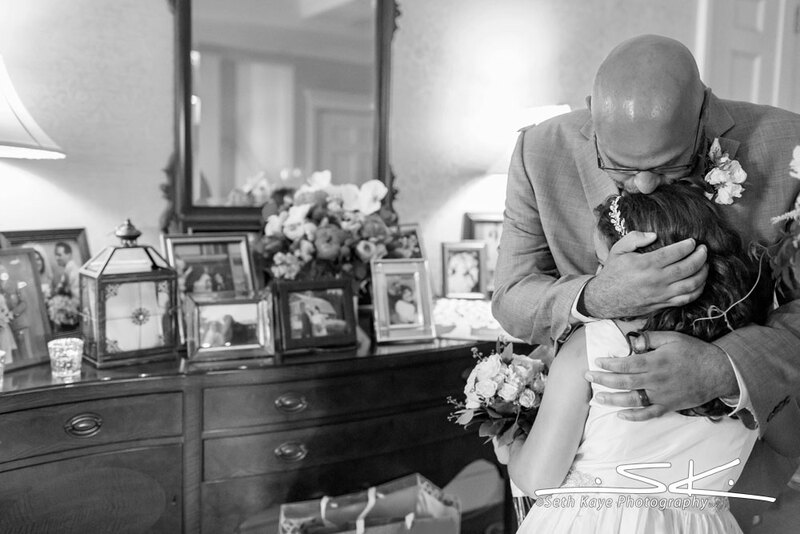 Vanessa + Maceo had an elegant wedding ceremony and reception at the Lord Jeffery Inn in Amherst. 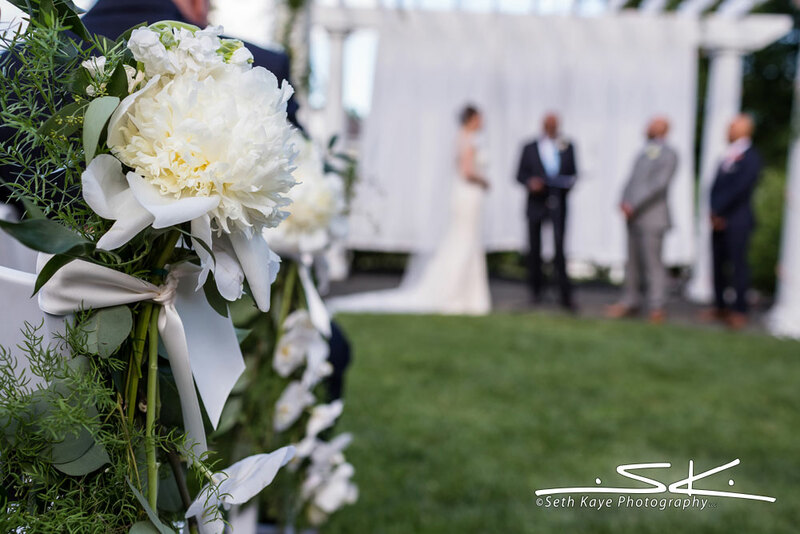 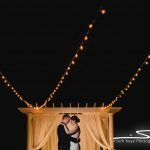 Both the outdoor ceremony site and ballroom where the reception was held were filled to overflowing with flowers, and numerous candles adorned the ballroom as well. 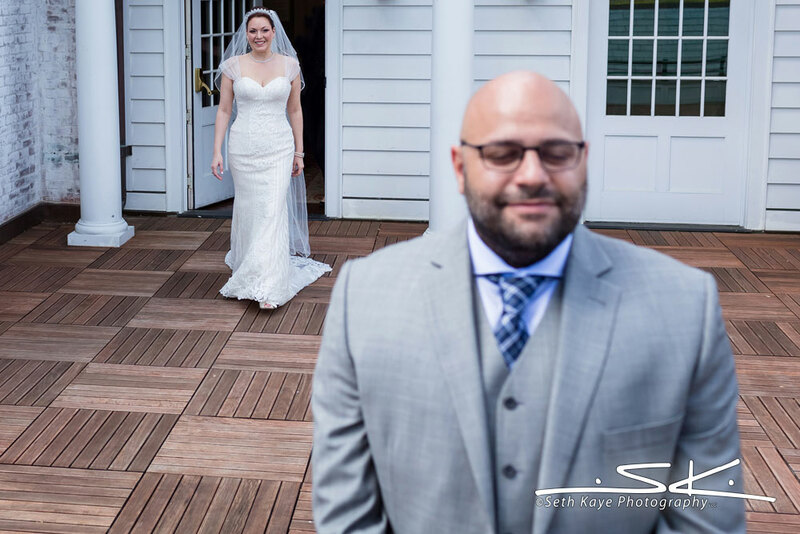 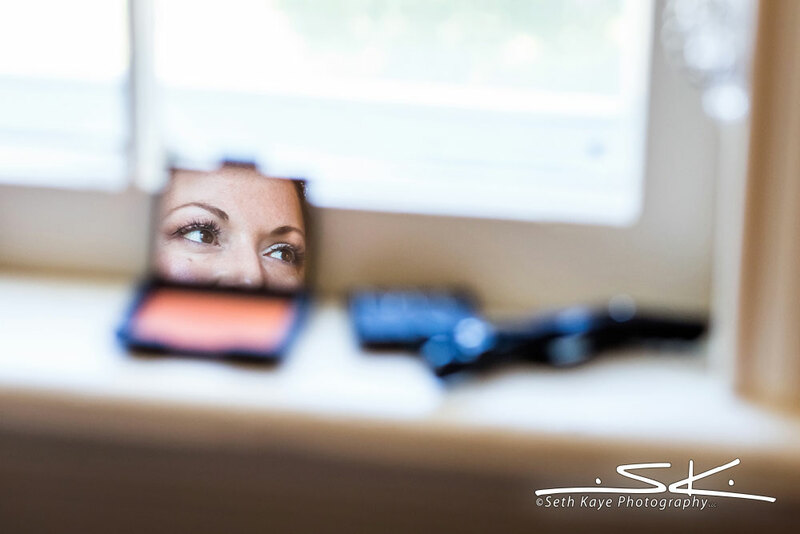 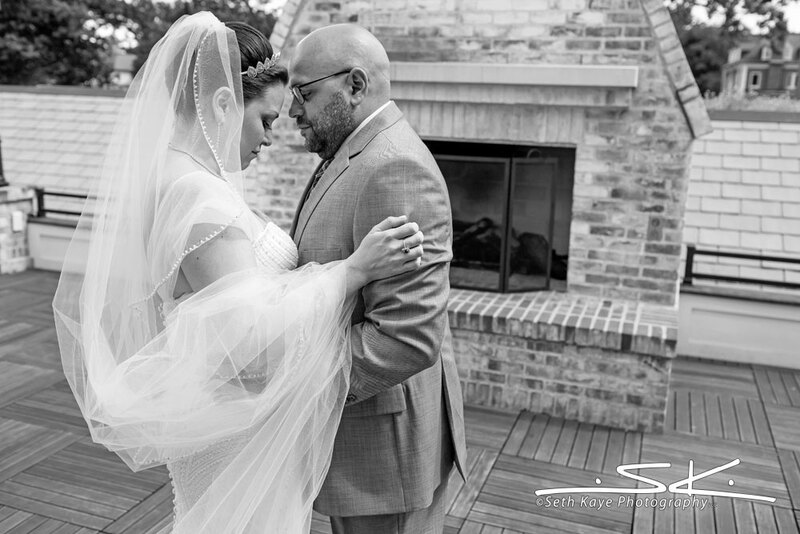 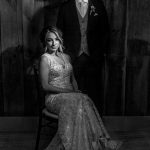 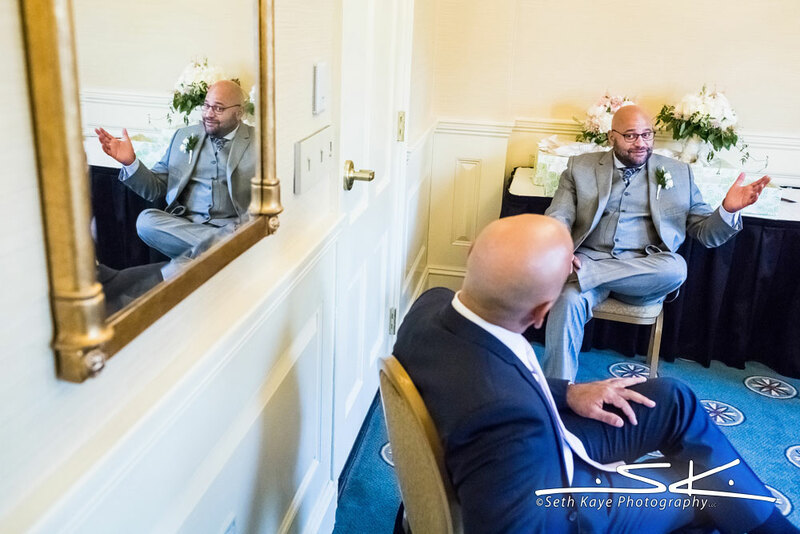 Vanessa had her makeup done on site before her private first look with Maceo, after which we photographed their families prior to the ceremony itself. 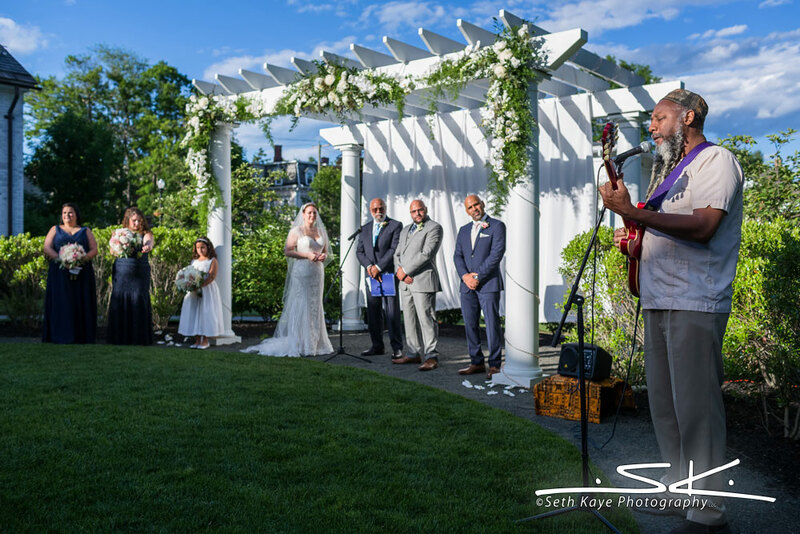 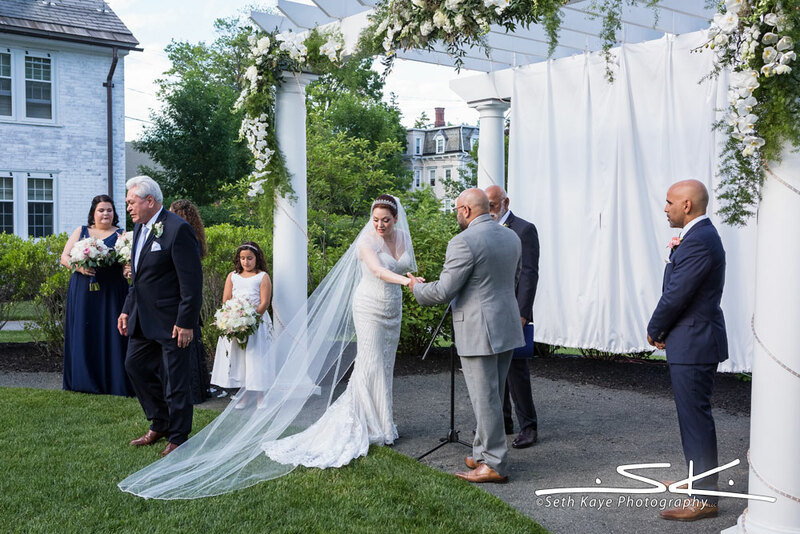 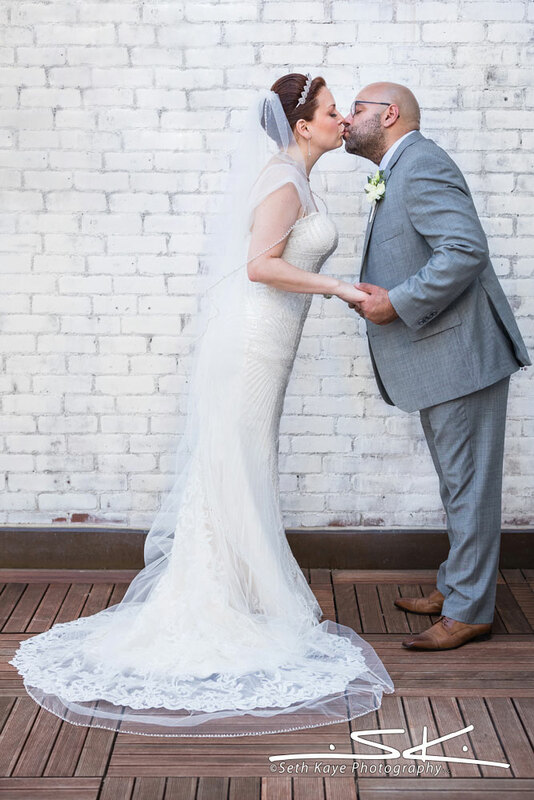 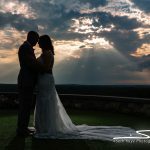 The weather couldn’t have been better for their ceremony outside the venue that included two heartfelt readings and a musical interlude before the exchanging of rings. 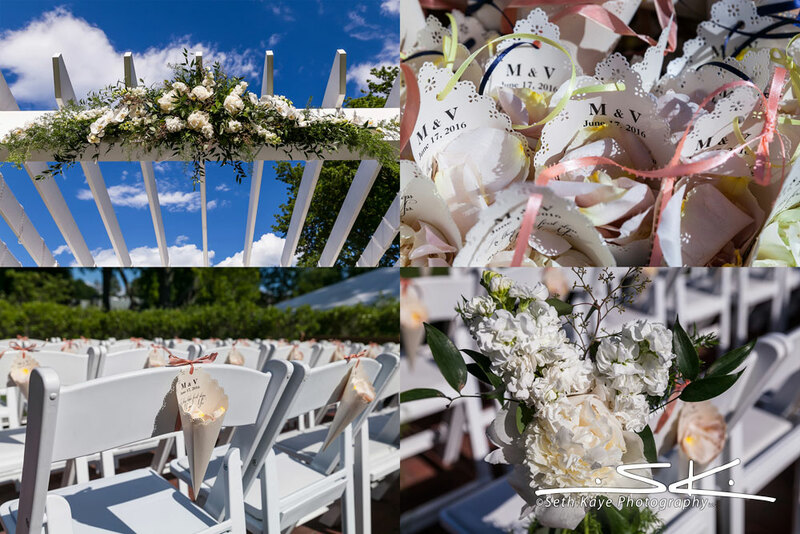 Newly married, they recessed while guests threw flower petals into the air from handmade paper cones made especially for the occasion. 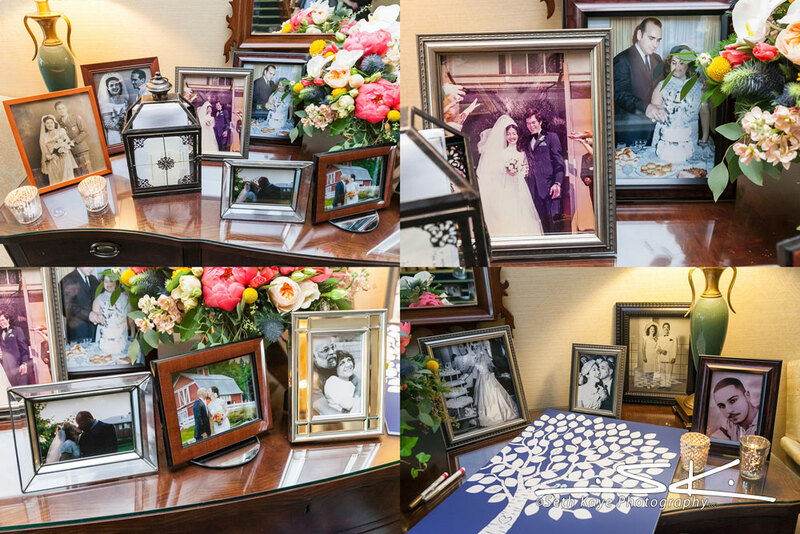 The cocktail hour area was decorated with framed photos of their respective family’s different generations, some from those family member’s own weddings. 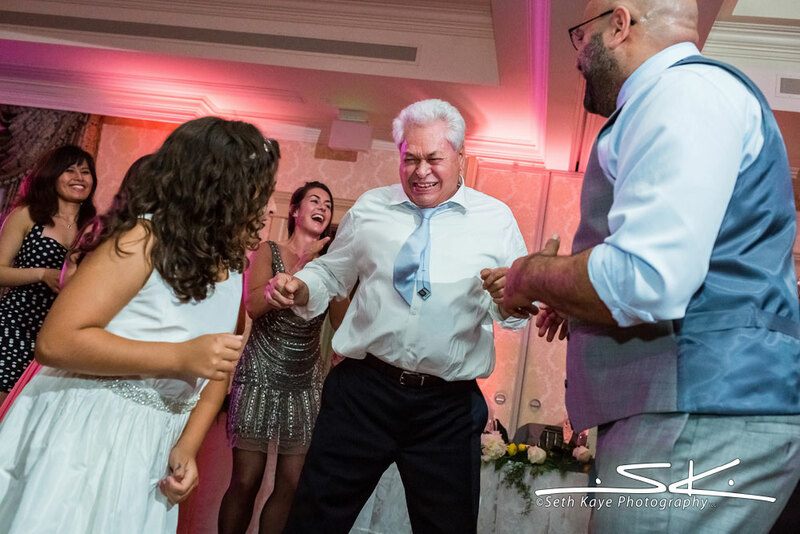 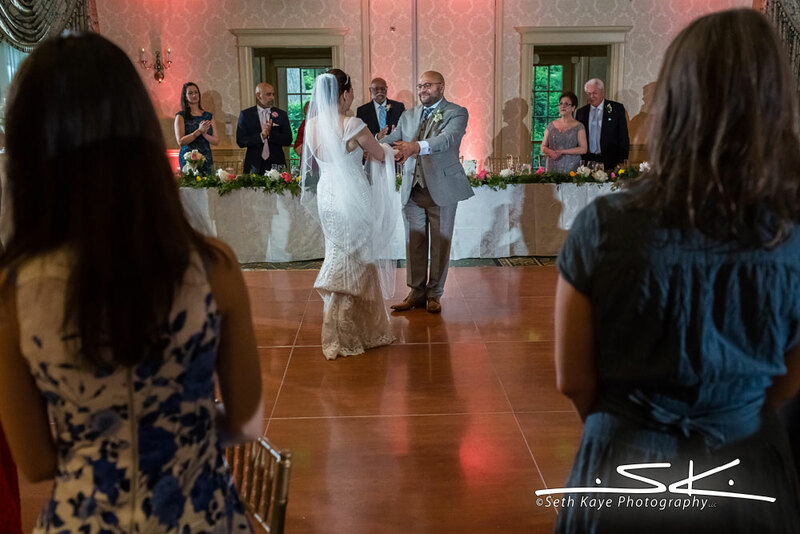 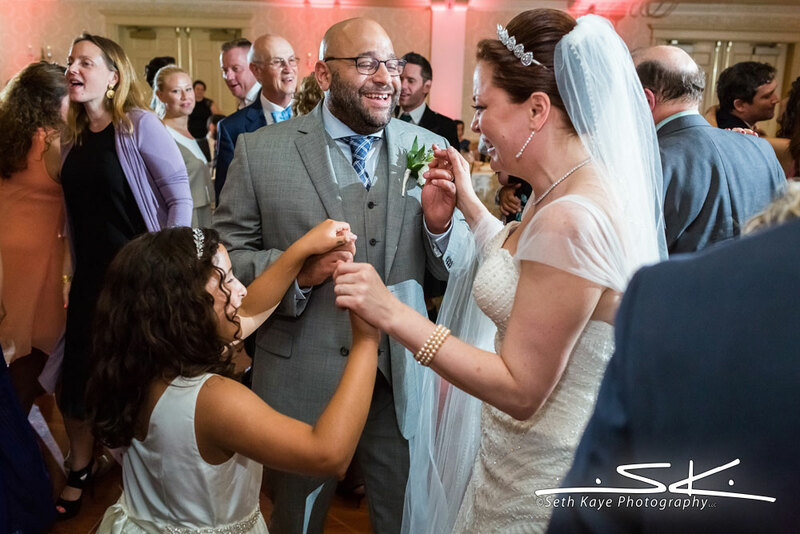 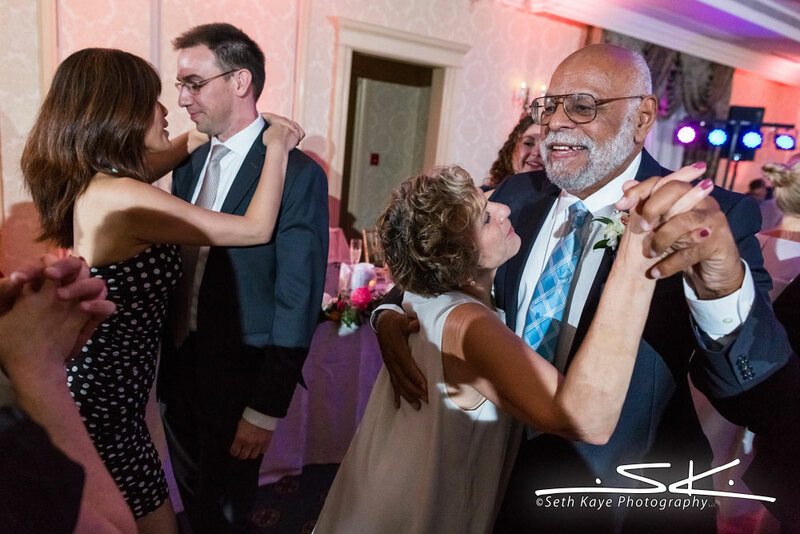 We then made our way into the ballroom where Vanessa + Maceo were introduced to their cheering guests and had Maceo’s daughter Elena join them for the second half of their first dance. 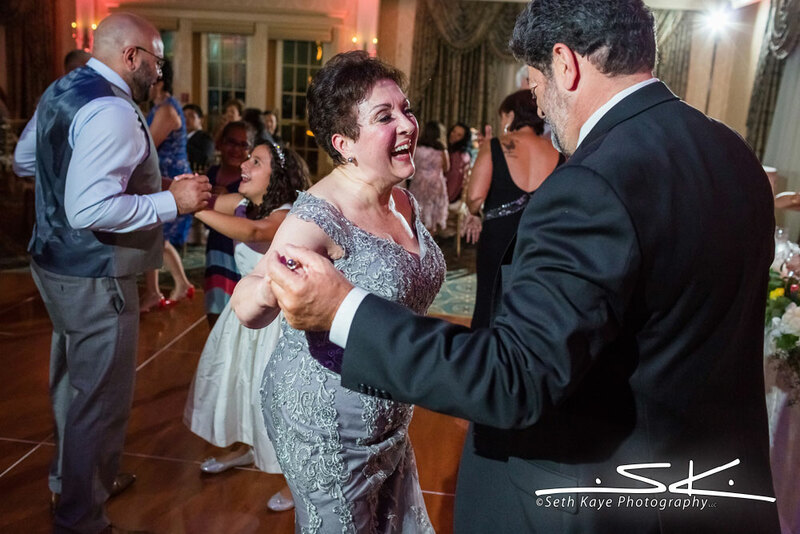 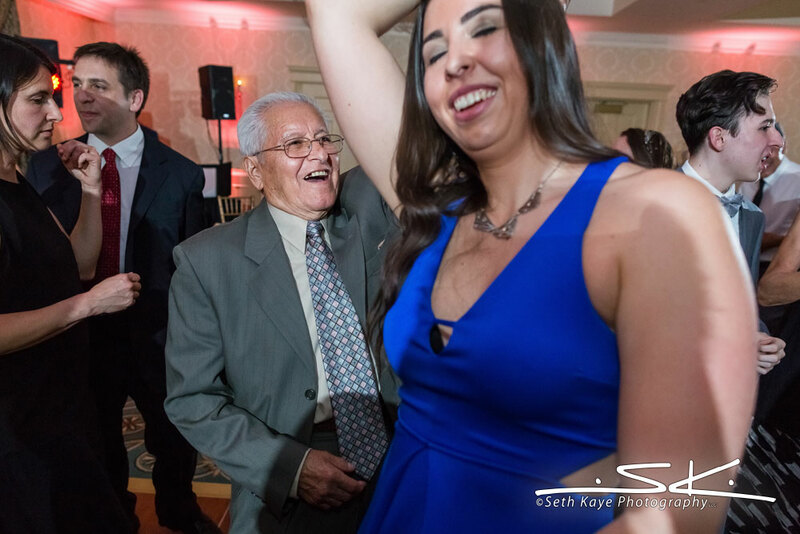 Guests were then invited to join them which filled the dance floor early in the evening and lasted through the end of the night. 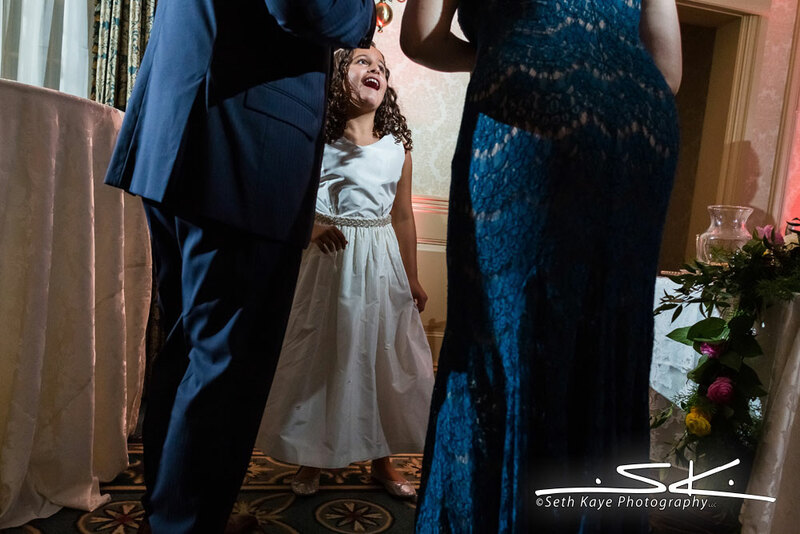 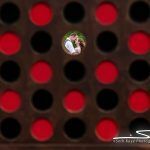 Great photographs, thank you guys , from the parents of the bride !